Elevate your casual wardrobe with this simple but essential crop top. 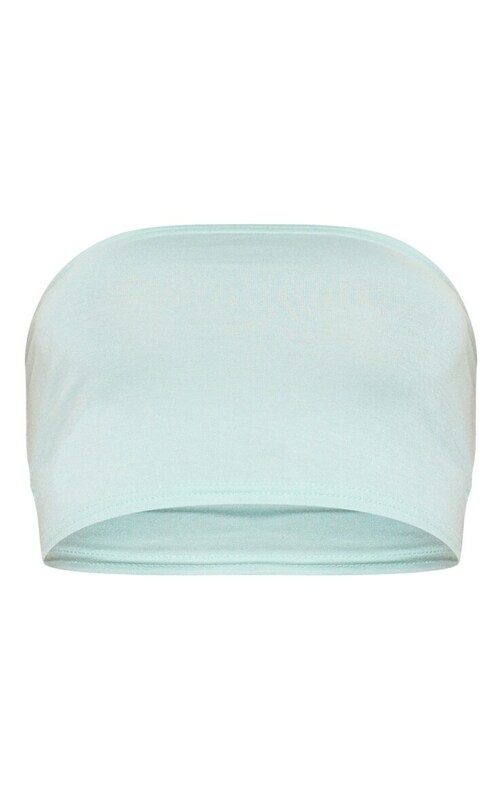 Featuring a mint jersey material with a bandeau neckline. Team with some grey joggers and hiker boots for a chilled weekend look.